A nondescript metal building with a faded sign along an industrial/commercial stretch of Wilson Road in Harlingen houses Texas Thread, a manufacturing enterprise that is unique in the Rio Grande Valley. By 1991 the company was on the verge of closing the Harlingen operation when Francis stepped in to take over the plant. “What we bought at the time was really just the machinery. 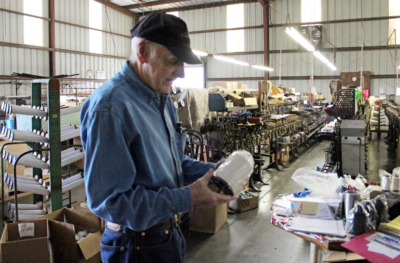 I thought I could be a clever entrepreneur.” He has owned and operated Texas Thread since then, and shows no signs of slowing down, moving back and forth between the thread factory and the Harlingen Compress, a business that compresses ginned cotton and warehouses the bales before shipping. Texas Thread sells product to various distributors in the United States that supply large factories, many of which are overseas. Some of the company’s threads also end up being used to sew buckskin to recreate Native American costumes, as well as stitching heavy fabrics to make other historical reenactment garb. 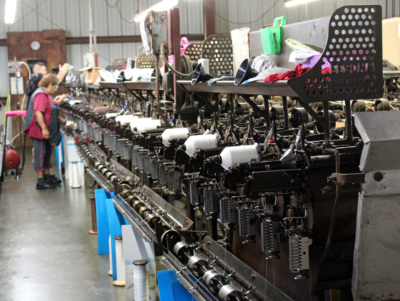 While manufacturing for modern industrial uses, the Harlingen factory is filled with older equipment. 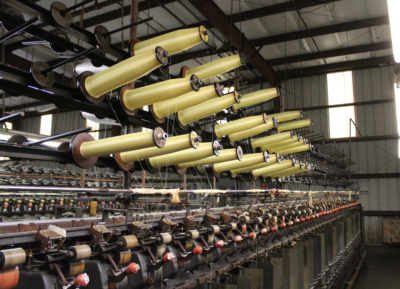 A steady hum emanates from rows upon rows of machines that feed thin strands of material from bobbins to be woven into final products of varying thickness and strength, depending on the product it will be used to manufacture. Another machine winds the finished thread onto spools for packaging, while some threads are run through equipment that applies special coatings for specific industrial applications. Texas Thread is a member of the Industrial Fabrics Association International, a nonprofit trade association founded in 1912 to offer support, educational programs and industry resources for members representing a broad spectrum of the international specialty fabrics marketplace.